The Vernee V2 is not an average smartphone, the strongly built device comes with amazing specs and retails just like a midranger. 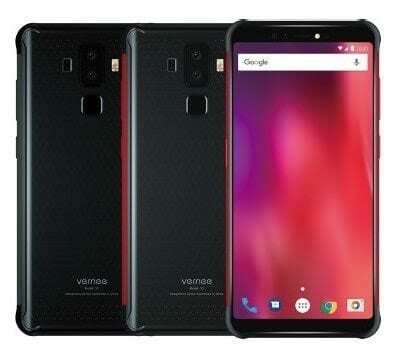 A powerful midrange smartphone it is, coming with 6GB RAM, 64GB internal storage, Android 8.0 Oreo and a massive 5800mAh battery. The OEM are known for making the most beautiful phones that gives true value for money. This new device is definitely an outdoor smartphone that was built to stand the test of time. Want to know more about the Vernee V2? Stay with me. It’s a combination of metal and plastic here, both elements are responsible for this strong device. The device is IP68 certified, dishing out water and dust resistant and offering durability. It comes with dual rear camera as well, which brings out other features at the back. A rear fingerprint scanner is at the usual position, under the dual shooters. There’s a dual-LED flash right beside both cameras, moving to the sides and wow what a bulky beast. It measures 11.2 mm slim, which was mainly because of the battery. It weighs 178g and available in only black, i personally hope more colors of this beauty will be available later on. A rugged device that’s bezel-less, now that’s not what we see everyday. The bezels are at their minimum, but there are still visible. The bottom bezel is vacant, while the top bezel houses the speaker grille, ambient light sensor and LED flash. The 5.99-inch FHD+ IPS capacitive touchscreen boasts of a resolution of 1080×2160 pixels. It boasts of 403 pixel per inch density, making all your gaming and movie experience come alive. It has 178 degree viewing angle and much taller display in landscape mode. Protecting the screen is a Corning Gorilla Glass which offers scratch resistant as well. Working under this beast is the MediaTek Helio P23 MT6763V chipset with 8-cores. The octa-core processor reaches a memory speed of 2.0 GHz with a 16nm process technology and 64-bit CPU architecture. In charge of graphics is the ARM Mali-G71 MP2 with 2-Cores and clocks at 700MHz. Multitasking heavy apps shouldn’t be a problem with 6GB RAM space available and a memory speed of 1600MHz. 64GB internal storage space is also available to accommodate all your apps and movies. If it isn’t enough, you can upgrade up to 128GB using a memory card. The V2 runs on Android 8.0 Oreo out of the box, giving you the Oreo experience. The dual rear 13MP + 5MP shooter has a f/2.0 aperture and captures 4K resolution images. The cameras come with a dual-LED flash by the side and other quality features to take photographs of 4160 x 3120 pixels in dimension. Another dual 8MP + 5MP selfie camera is at the front with facial recognition technology. The selfie camera comes with a LED flash as well and takes cute selfies in low light environments. Powering the Vernee V2 up is a massive 5800mAh Non-removable Li-Po battery with fast charging technology support. Even with the fast charging feature, charging the battery up from 0% to 100% might take between 2-3 hours. What is Vernee V2 Price and Availability Status? The Vernee V2 is available on Shopping stores from $329 (N110,000) to $349 (N130,000). Click on the links below to view the latest Vernee V2 price & availability. 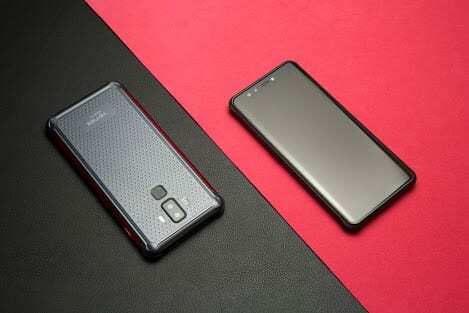 Waooow, the phone have great performance, very pretty and a very good qaulity battery. The design and others specs is also great for a mobile in that price range.